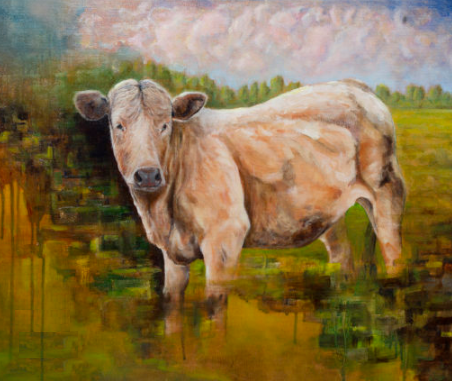 J – Art for Art's Sake! 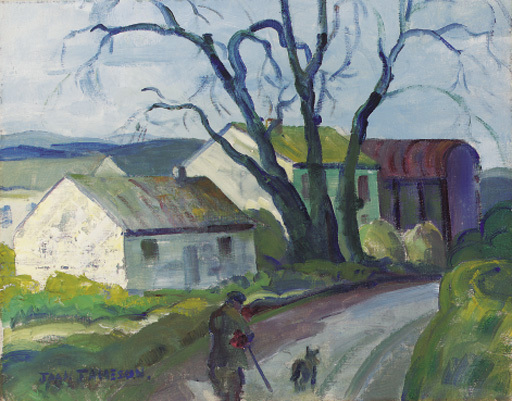 Limerick artist who studied at the Limerick School of Art and went on to produce abstract and traditional work. 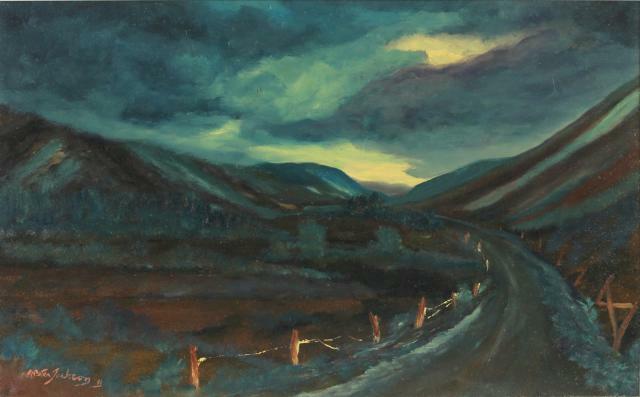 “Sunset, Mountain Pass” oil on board (19″ x 31″), unsold at Dolan’s – 2/3/2014. 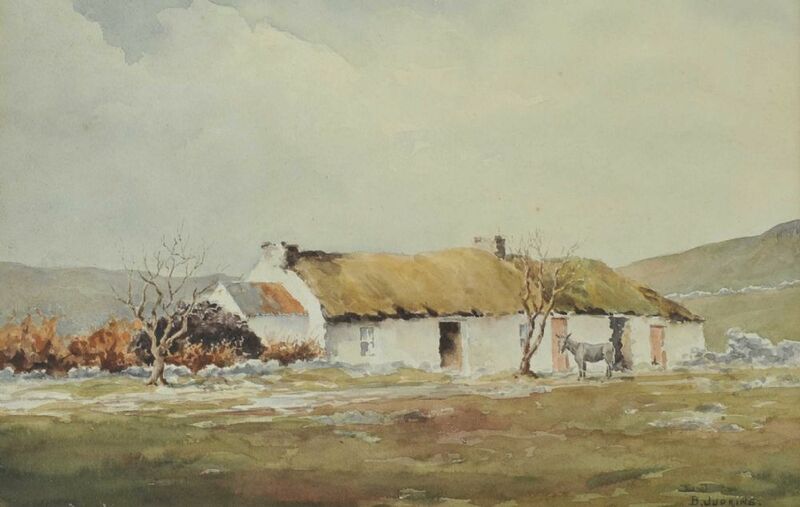 Former Bishop of Limerick and founder of the Limerick Art Society. 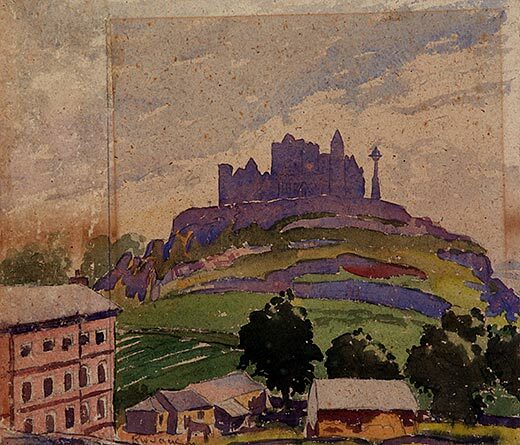 Left to right: “Pinky Downey’s” watercolour (13″ x 9″), sold at Dolan’s – 30/4/2007 for €650.00; and “Rock of Cashel” watercolour on paper (8.5″ x 9.5″) in the collection of the Crawford Art Gallery, Cork. 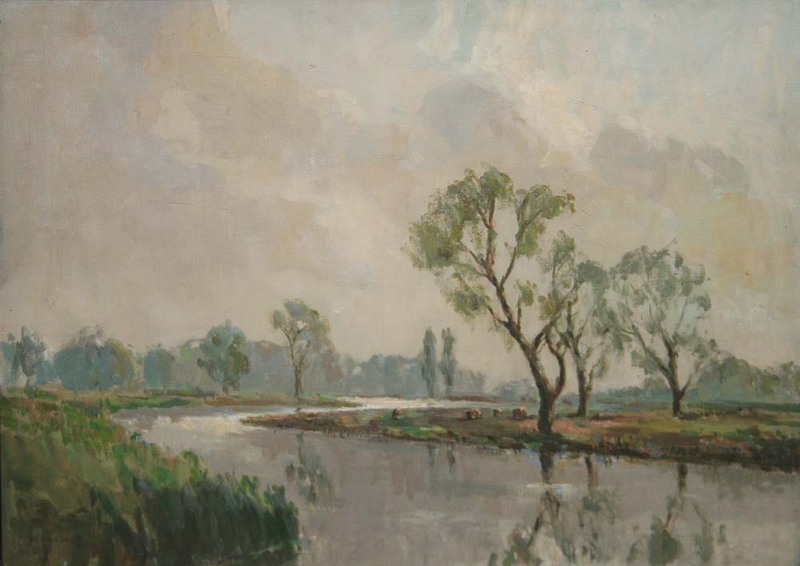 “Cattle feeding on the banks of the river” oil on canvas (17″ x 24″), sold at de Vere’s – 27/11/2013 for €1,400. “The Blue Hills” oil on canvas board (15″ x 19″), unsold at Dolan’s – 8/2018. 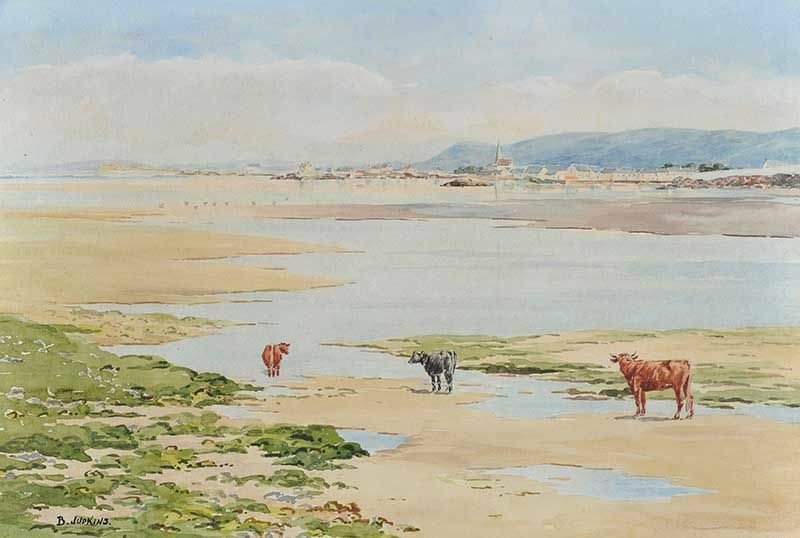 “Extensive River Landscape” dated 1889, watercolour (19″ x 30″) sold at Morgan O’Driscoll’s – 6/3/2017 for €240.00. 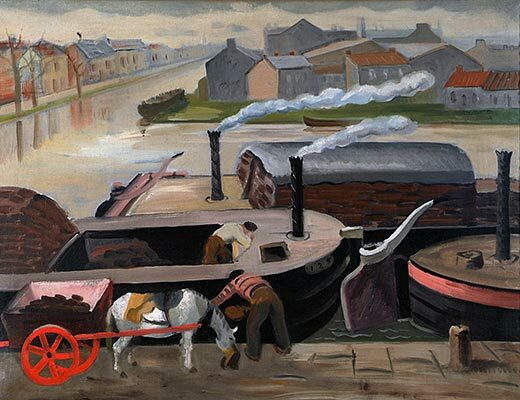 Left to right: “Barges unloading Turf, Grand Canal, Dublin” (1943) oil on canvas. 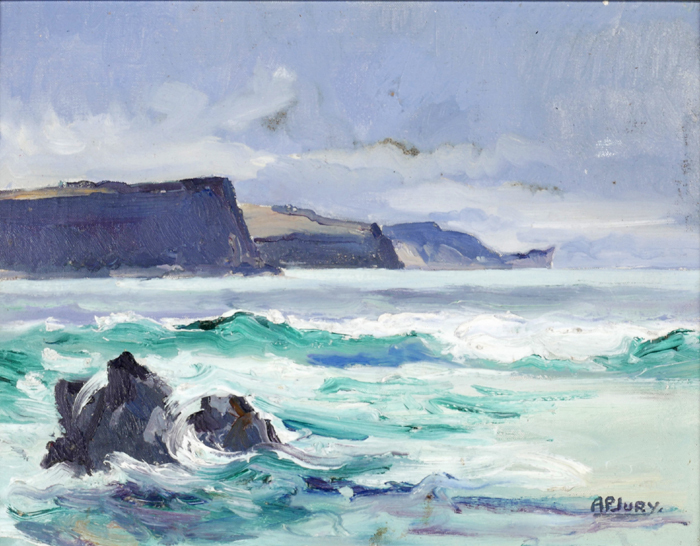 Collection of the Crawford Art Gallery, Cork. 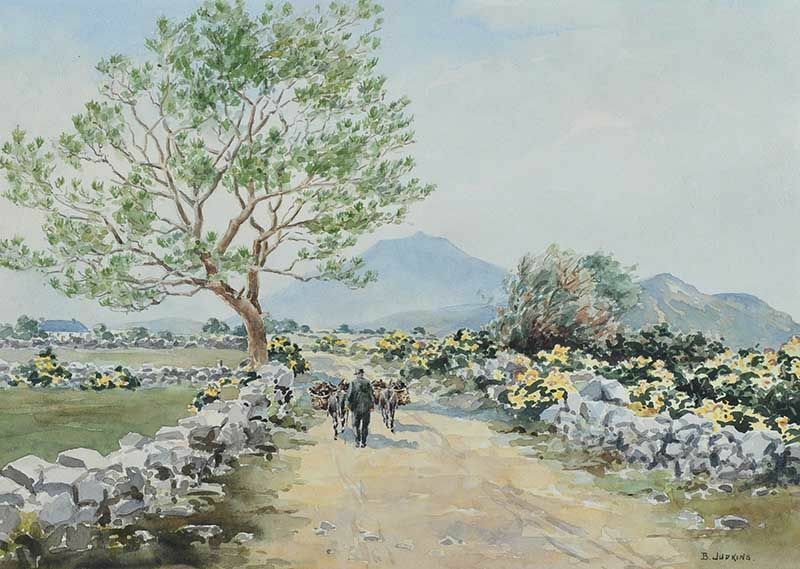 and “The Road to Dublin” oil on canvas board sold at Christies, London 19/5/2000 for £3,055.00. 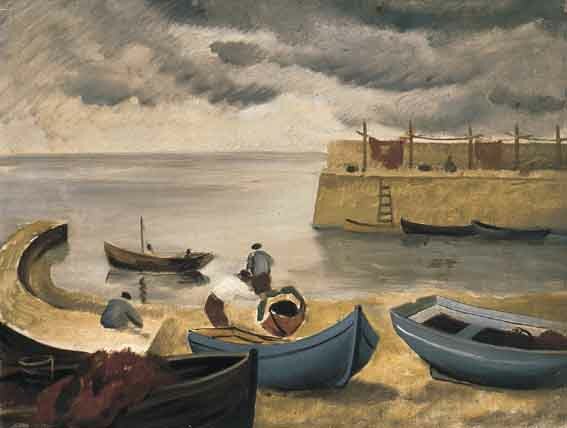 “The Jetty and Boat Cove, Ardmore, Co.Waterford” oil on canvas (20″ x 25.5″) sold at Whyte’s – 9/10/2001 for €3,682 including buyer’s premium. 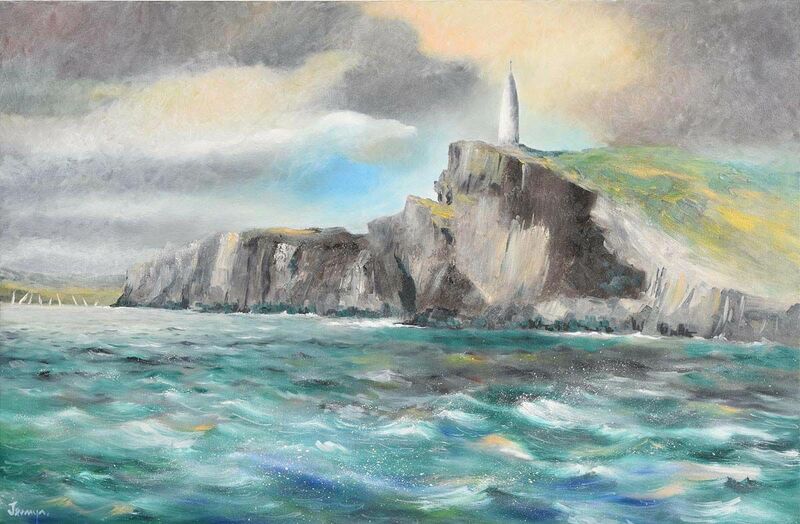 “The Beacon, Baltimore” oil on canvas (24″ x 36″), sold at Morgan O’Driscoll’s – 13/3/2017 for €240.00. Born in Clonlisk, County Offaly. 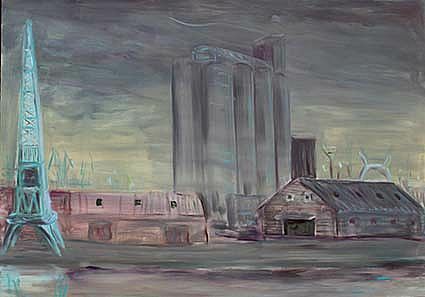 Studied in London and became a portrait painter to the good and the great. Also known as a translator, and art collector. In 1723 he became Principal Portrait Painter to King George .I. “Portrait of Sir Robert Walpole (1676-1745) 1st Earl of Orford” dating from c.1725, oil on canvas, sold at Cheffins, Cambridge (UK) – 8/3/2018 for £28,000. 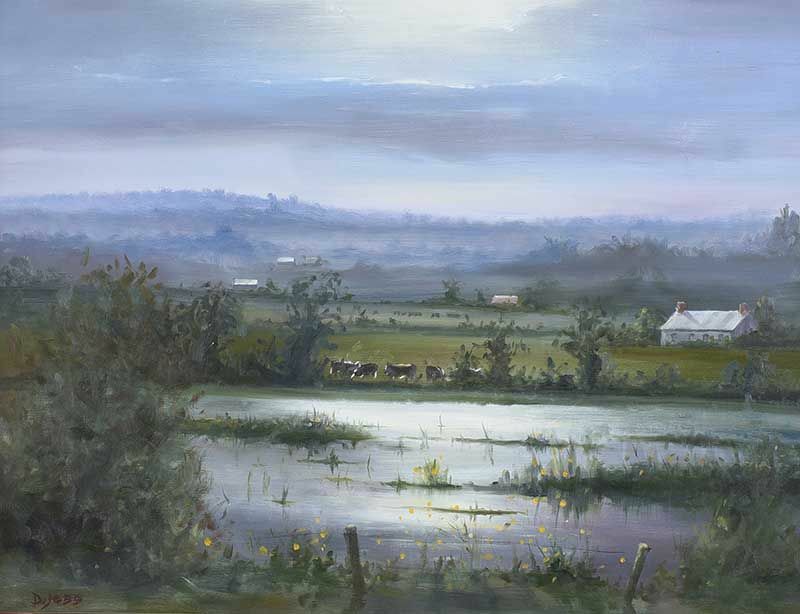 “Flooded Fields, Loughgall” oil on board (17″ x 23″), sold at Ross’s – 8/11/2017 for £180.00. 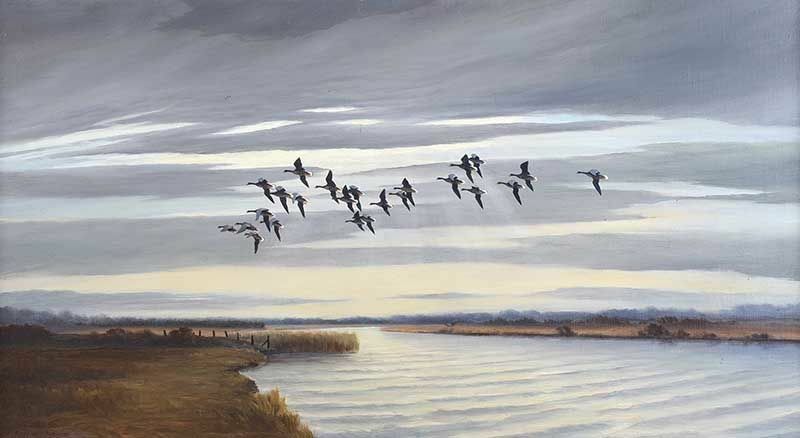 “Geese over Wetlands” oil on canvas (20″ x 36″), unsold at Ross’s – 13/6/2018. 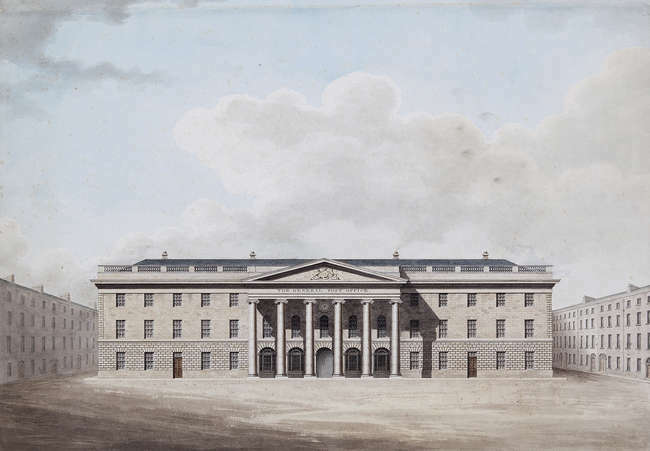 “Front elevation of the proposed General Post Office, Dublin 1814“, watercolour (19″ x 26”), unsold at Adam’s – 7/12/2016. 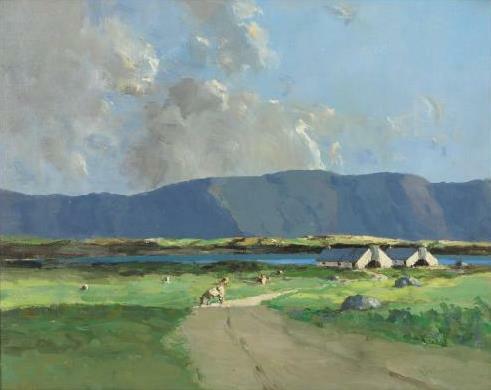 “Donegal” dated 2009, oil on board (12″ x 16″). 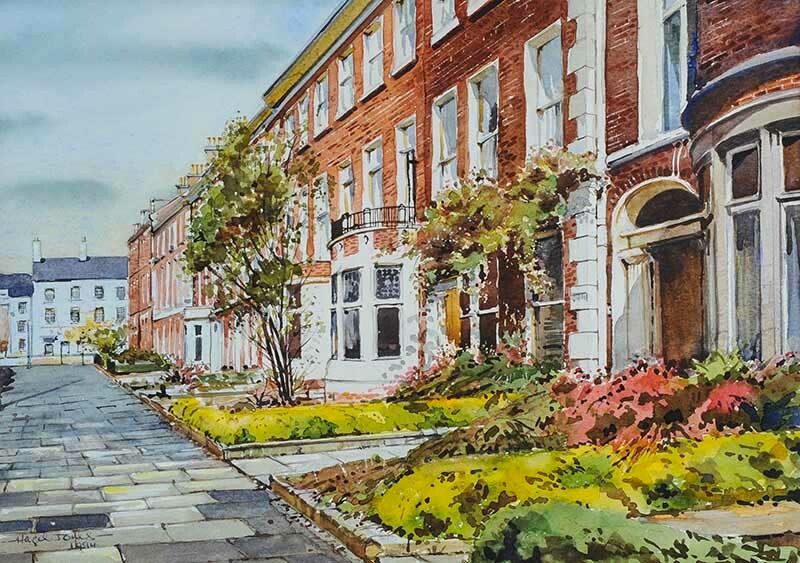 “University Square, Belfast” watercolour drawing (10″ x 14″), sold at Ross’s – 4/11/2015 for £160.00. 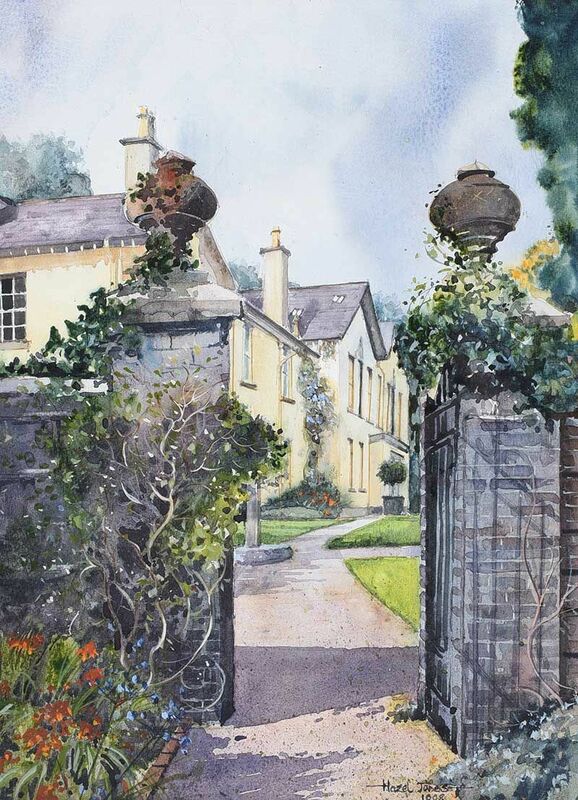 “From the Walled Garden Rowallane” watercolour drawing (11″ x 5″), sold at Ross’s – 21/2/2018 for £100.00. 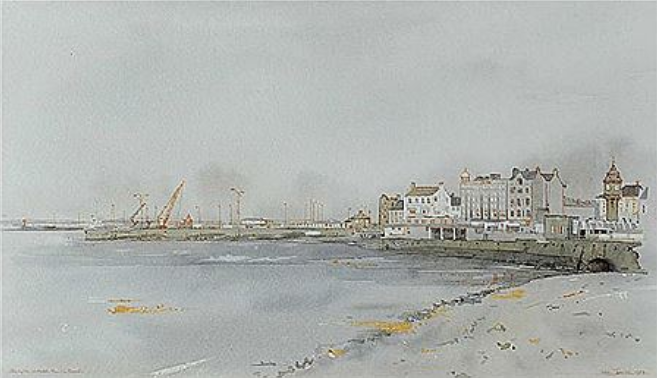 “Bangor Harbour” watercolour drawing (9″ x 15″). 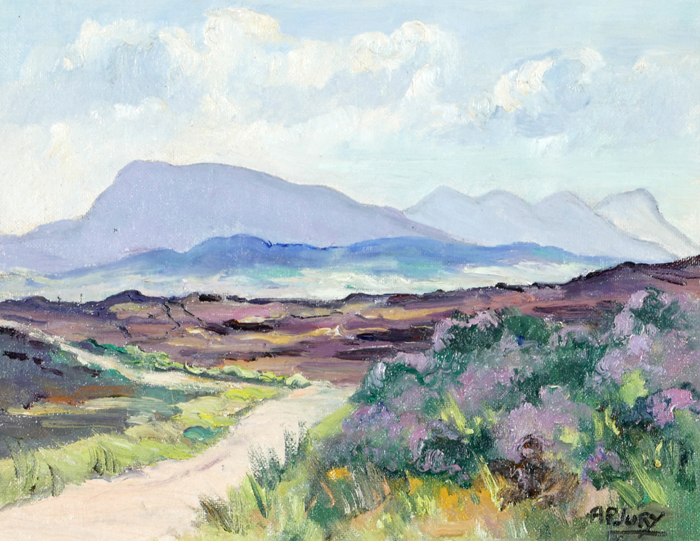 Sold at Ross’s – 9/9/2015 for £100.00. 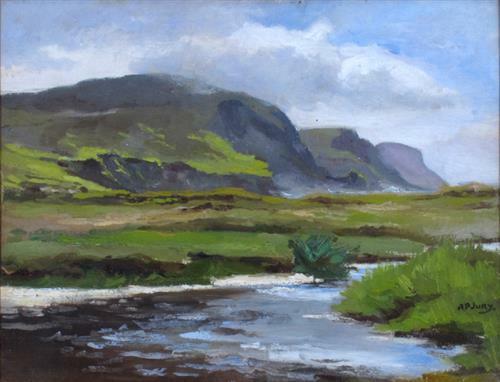 “Connemara Valley” oil on canvas (10″ x 14″). 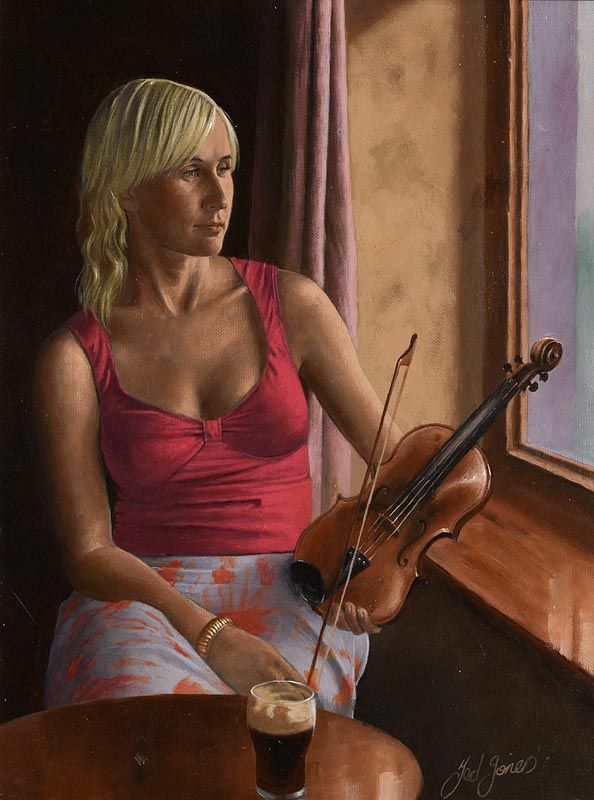 Left to right: “Mary the Fiddler” oil on board sold Morgan O’Driscoll 5/2016 – €600.00; and “Three Amigos” oil on canvas (30″ x 40″) sold at Morgan O’Driscoll’s – 12/9/2016 for €1,600.00. 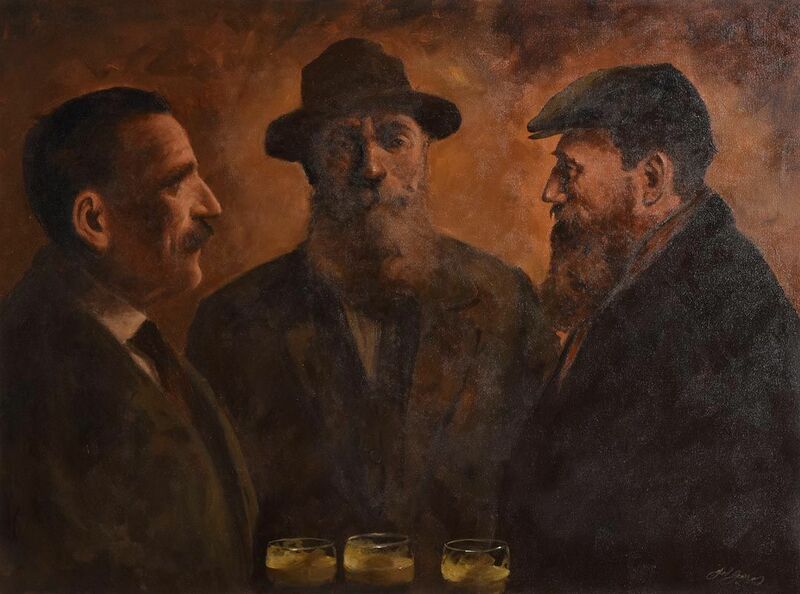 “Friendly Banter” oil on canvas (24″ x 36″), sold at Morgan O’Driscoll’s – 3/12/208 for €2,800. 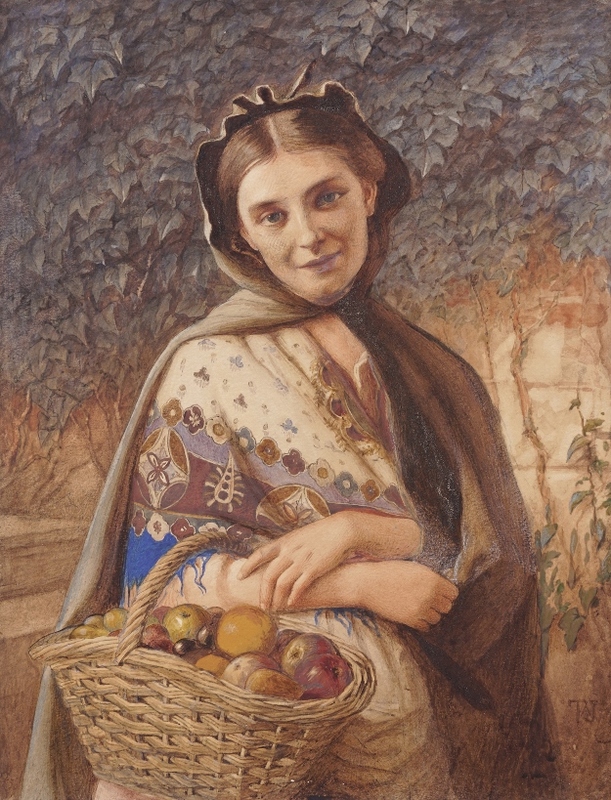 “An Irish fruit seller ” watercolour (16″ x 12″) unsold at Sheppard’s – 25/9/2018. 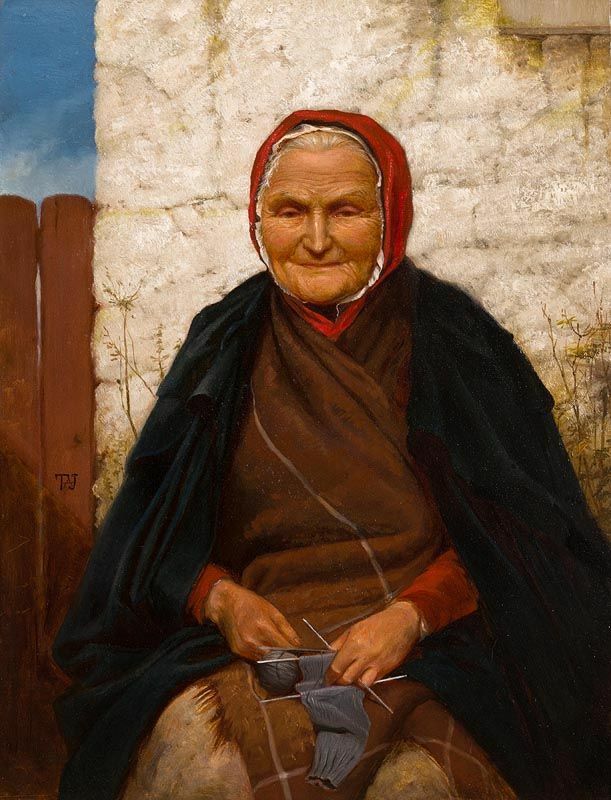 “Woman Knitting” oil on board (17″ x 13″), sold at Morgan O’Driscoll’s – 12/11/2018 for €3,000. “Waterfront 1” oil on linen (50″ x 77″), sold at de Vere’s – 10/2/2019 for €700. 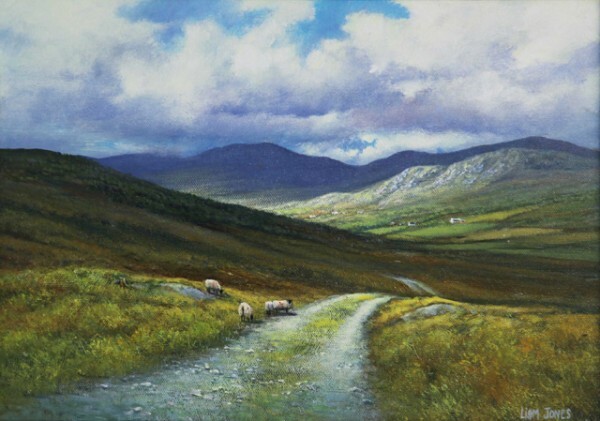 Lar Joyce is a self-taught artist based in Wexford. 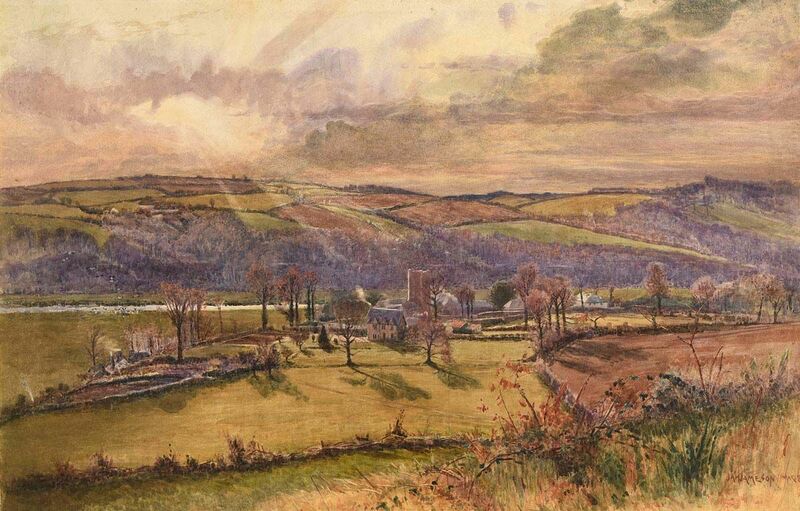 His artistic talent was apparent from an early age and growing up in the countryside, he found his inspiration through nature and animals. 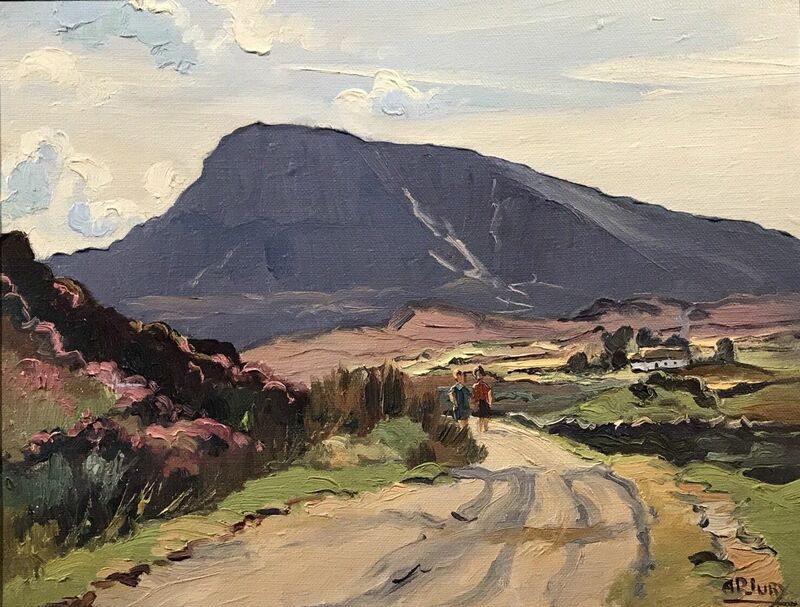 These are still his favourite subjects and his work in oils and charcoal are now sought after and can be found as part of many art collections across Ireland. 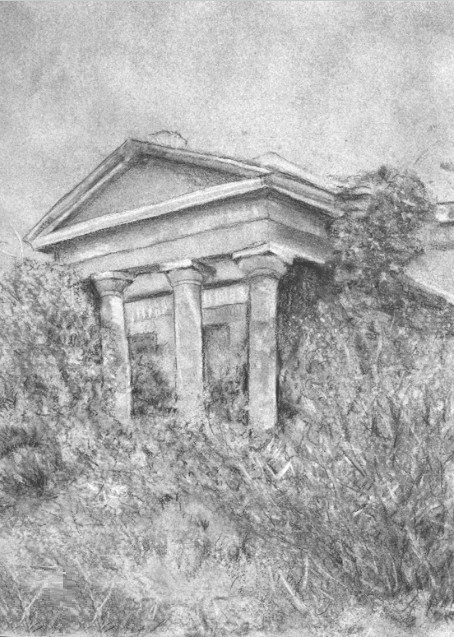 Left to right: “The Grand Lodge” charcoal on paper and “Prince of Woodstock” oil on canvas (20″ x 24″) – both for sale on the artist’s website. “Donkey with Turf” watercolour drawing (10″ x 15″), unsold at Ross’s – 29/3/2017. 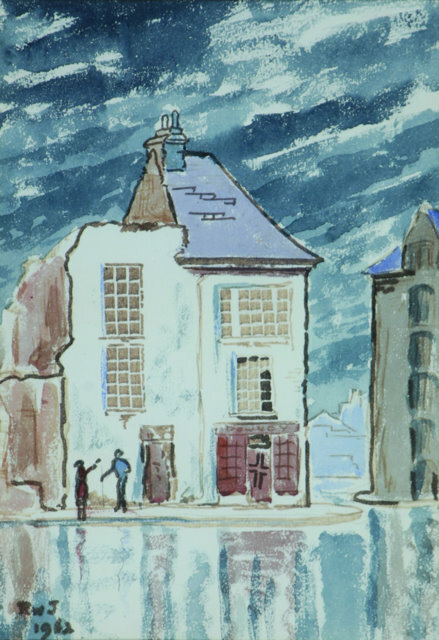 Left to right: “Cattle on a Beach” watercolour drawing (13.5″ x 21″), unsold at Ross’s – 29/3/2017; and “Thatched Cottage, Ireland” watercolour drawing (9″ x 14″), sold at Ross’s 2/9/2015 for £120.00. 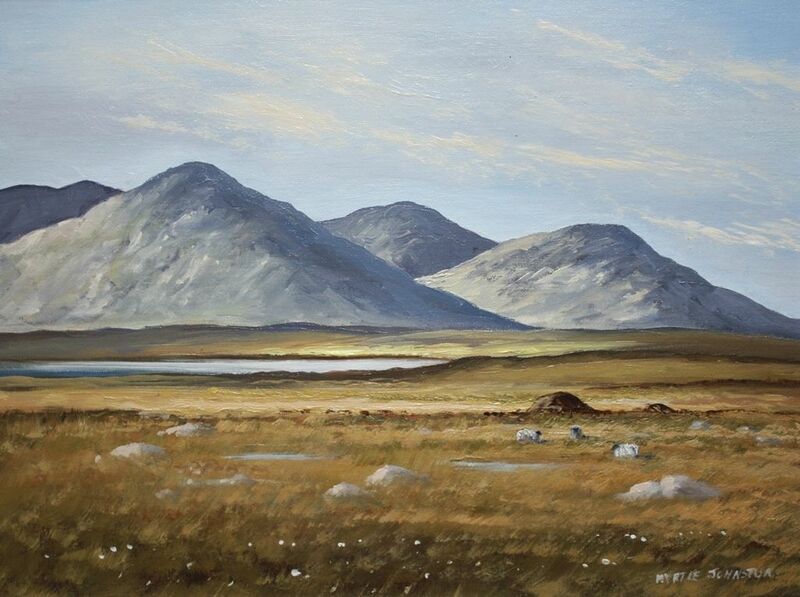 “Connemara landscape” (10″ x 12″) oil on board. 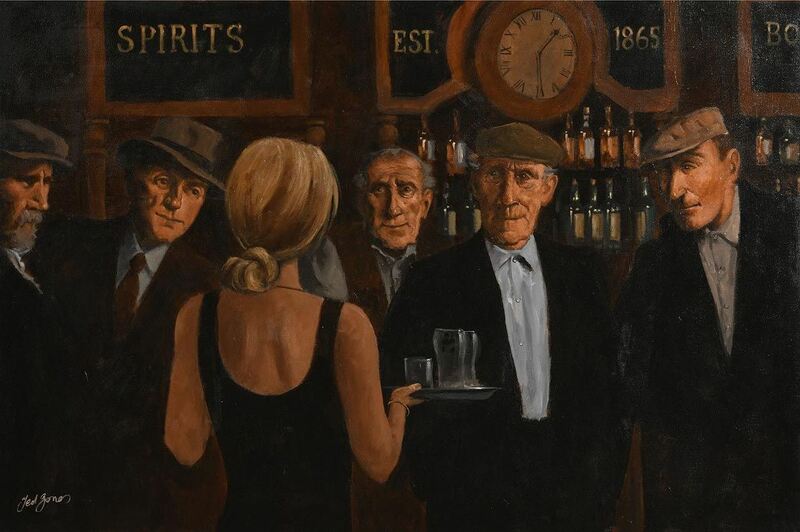 Sold at Morgan O’Driscoll’s – Oct.1995 for €380.00. 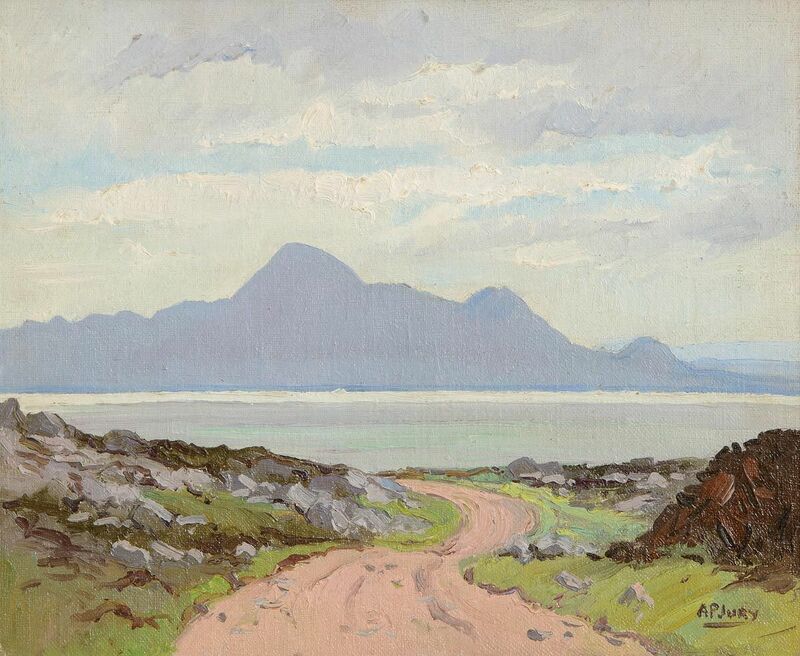 Left to right: “High Rise, Keel, Achill” (1933) oil on board; and “Donegal Coast” oil on board (9″ x 12″) unsold at Whyte’s 10/12/2016; and “Mountain Range from Horn Head, Co.Donegal” oil on board (9″ x 12″), sold at Whyte’s – 10/12/2016 for €400.00. 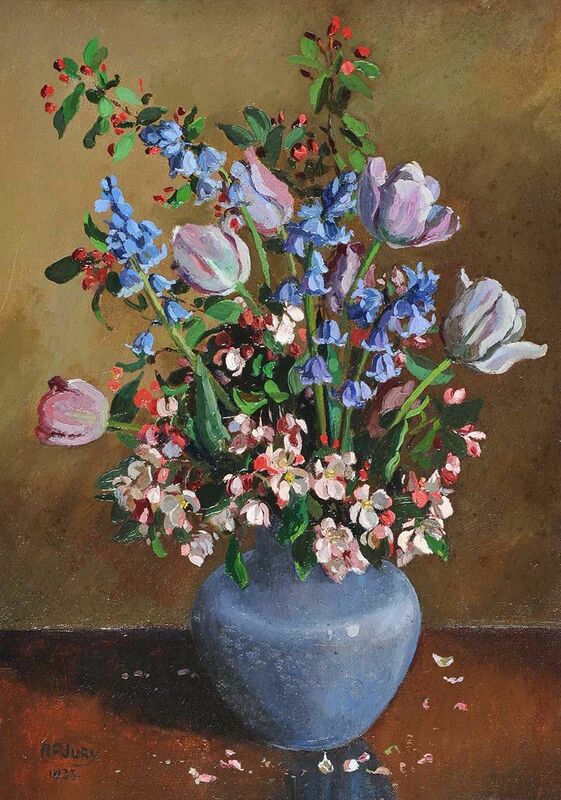 Left to right: “Distant Mountains” oil on canvas (13″ x 16″), sold on eBay – 13/8/2017 for £450.00; and “Flowers in a Blue Vase” oil on board (20″ x 14″), sold at Ross’s – 1/3/2017 for £1,400.